When planning a party of any size, the details are important. 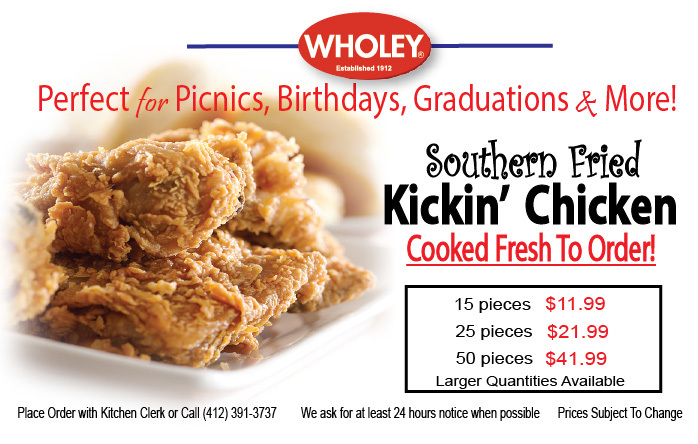 When it comes to the menu, set your mind at ease with our selection of delicious and affordable party trays! Whether looking for a way to serve your guests at a gathering or a way to bring some flavor to the next office holiday party, our selection of party platters has something sure to excite your picky crowd. We offer a variety of options all carefully selected and artfully arranged for a platter that is a delight to eat and look at. Looking for party trays with the classic staple of shrimp? We have you covered with options of various sizes. We also offer smoked fish such as haddock, salmon, trout, and more. 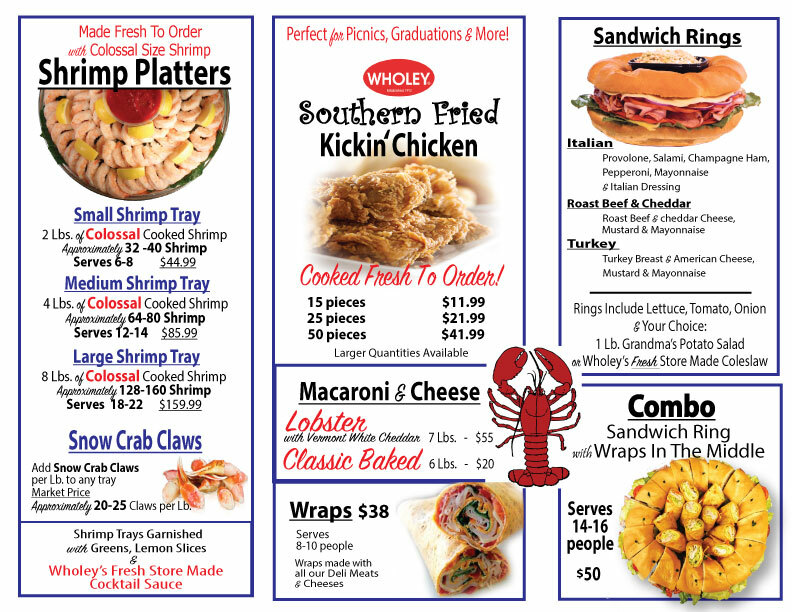 Looking for party platters other than our delicious seafood? We offer an assortment of platters to choose from such as cheese trays, fruit trays, veggie trays, chicken, and more. We even have deli meat sandwich wheels and wrap trays perfect for lunch meetings or get togethers. Choose from crowd pleasers such as roast beef and cheddar, turkey, and Italian for a platter sure to satisfy their appetites. For a sweet way to finish things off, we also have dessert trays featuring Thelma’s Fudge in various flavors for the sweet tooth in every crowd! Whether looking for a tray to serve 4-6 people or trays to serve 18-22 for larger gatherings, these trays make entertaining easier than ever. Order now and set your next party up for success. 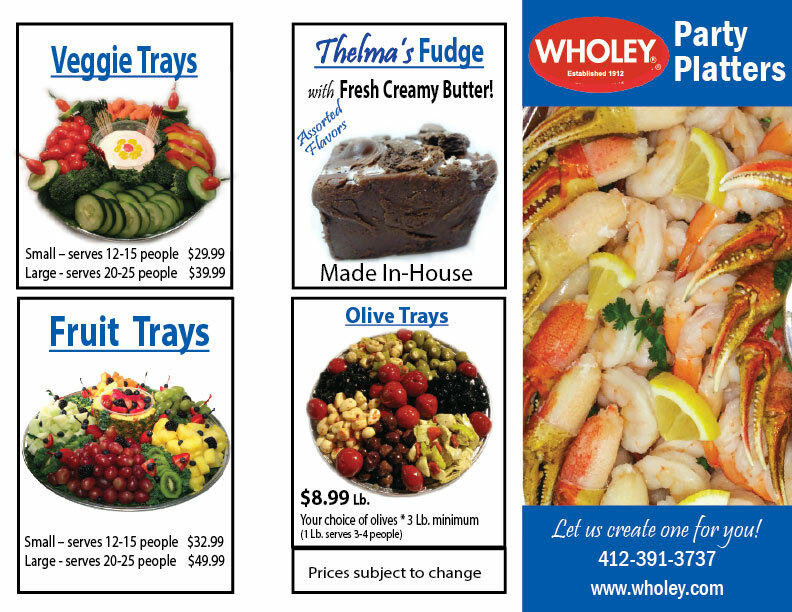 At Robert Wholey Company, we are honored to be your source for fresh and frozen meat, seafood, and so much more. With over 100 years of experience in this business, we know a thing or two about fresh, flavorful food. We would be happy to answer any questions you may have about our selections or services while shopping with us today!